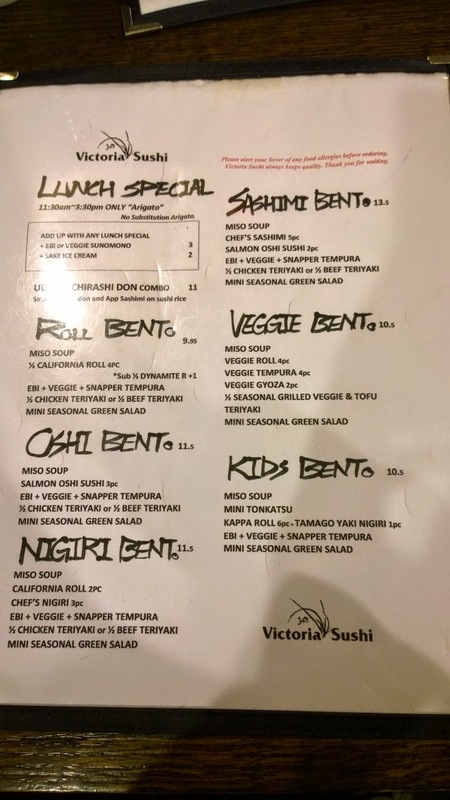 A new sushi joint has apparently popped up in New Westminster and funny enough, the name of the restaurant kept on showing up in various conversations I had with friends, family, and coworkers! Honest to god I heard it 4 times in a span of a week. 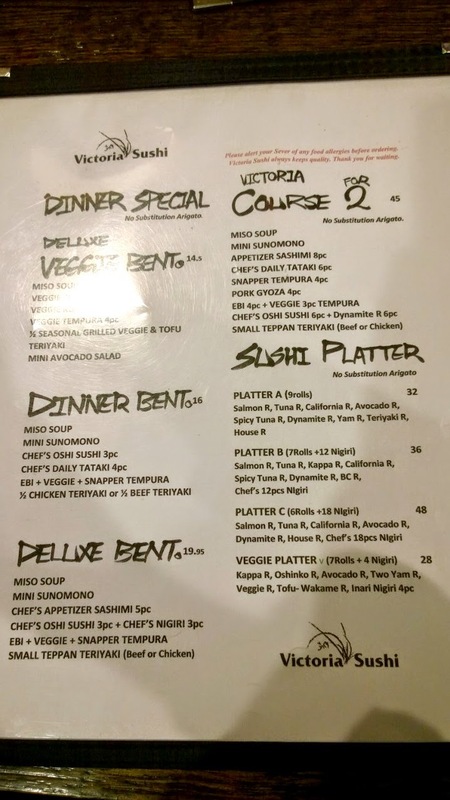 The name is Victoria Sushi. 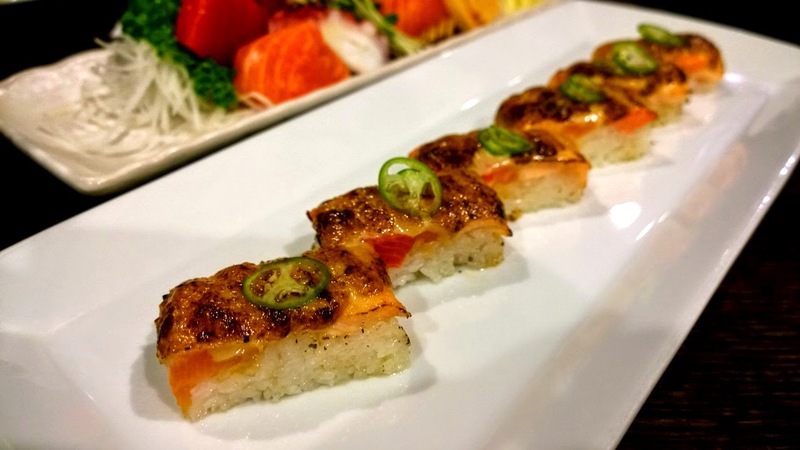 Victoria Sushi is very similar to Kishimoto, and Miku where they offer Aburi Salmon Oshi or otherwise called “flame torched salmon pressed sushi”. 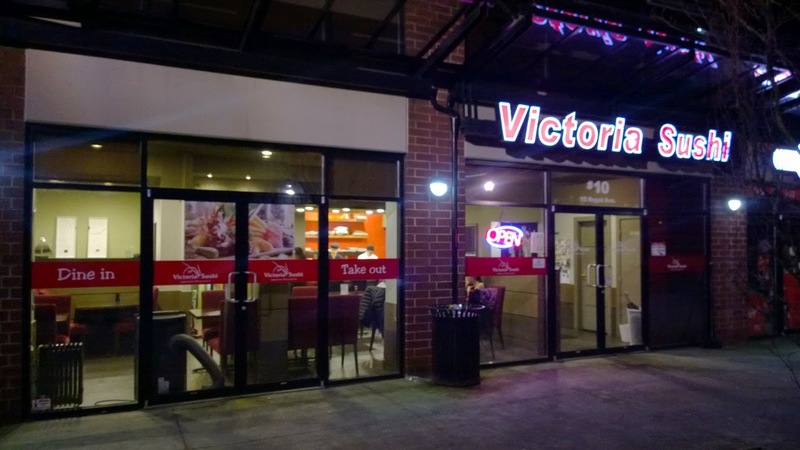 Victoria Sushi is actually located in a very underwhelming suburban area in New Westminster. It’s attached to an apartment building and has very little street parking nearby. It’s a completely residential neighbourhood. 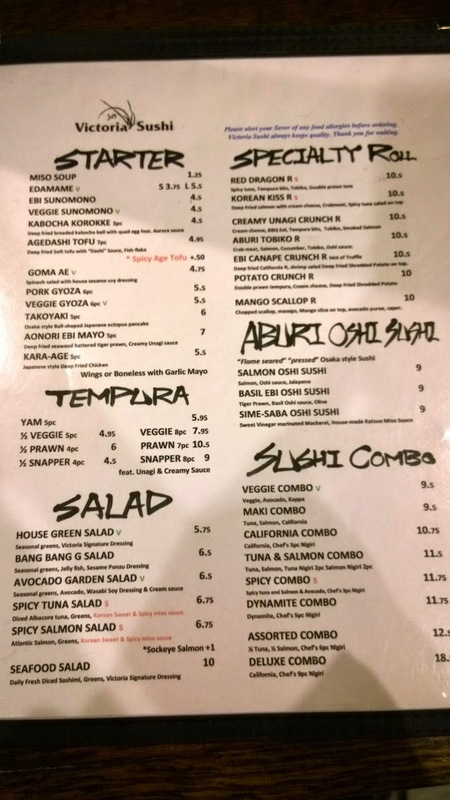 Their menu is pretty extensive and their prices are reasonable. They even make their own in-house sake ice-cream which I’m totally going back for. The Kimchi Pork Ishiyaki ($10.50) is from their “Izakaya” section of the menu. 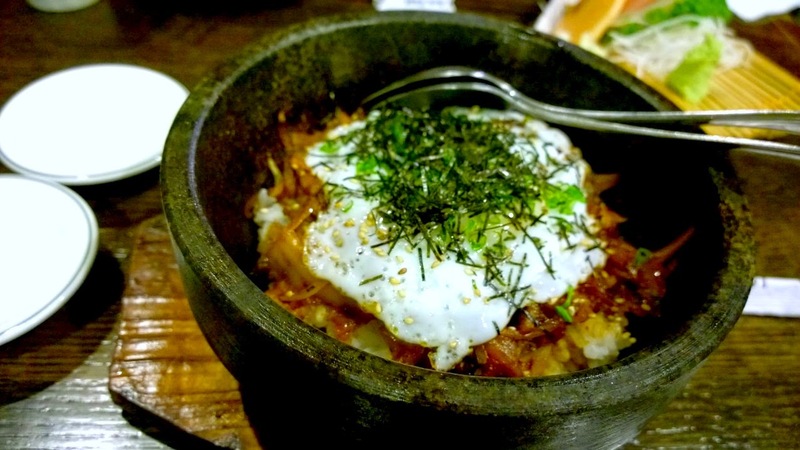 It consists of kimchi, pork, onions, egg, and seaweed in a sizzling stone bowl. 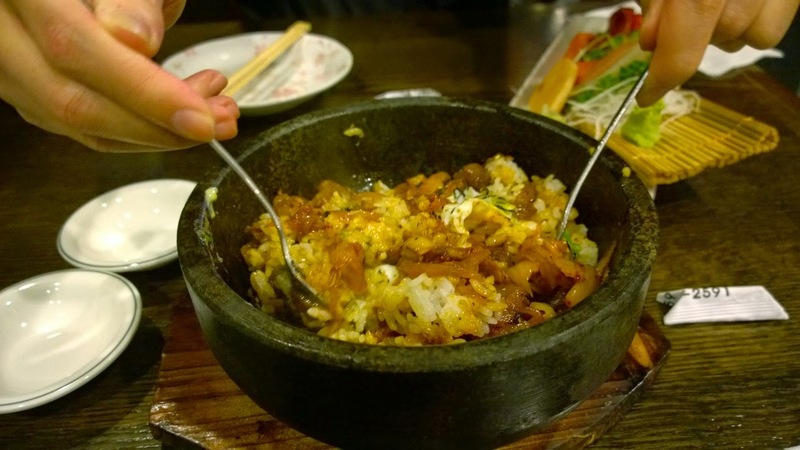 After you give it a good mix, it becomes an incredible fried rice that gets a bit crispy on the edges due to the stone bowl. Yum! 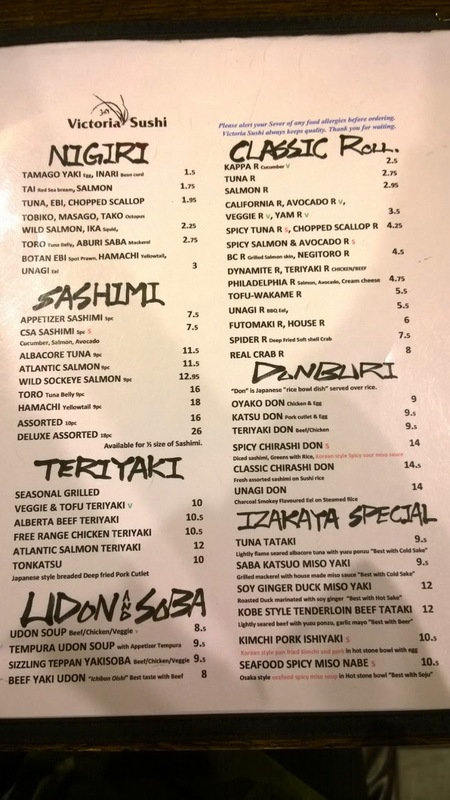 Both Meta Knight and I thought the Assorted Sashimi ($16) was a little pricey for 10 pieces of sashimi. 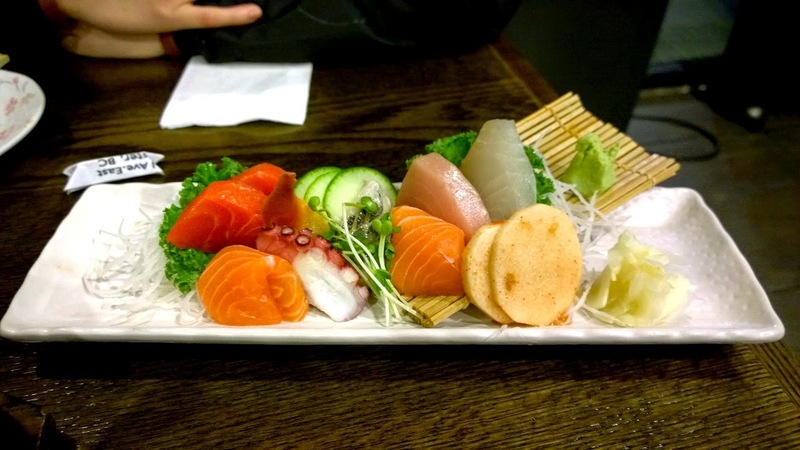 Nevertheless, you can’t ignore the quality of the sashimi. It’s the real deal and you can tell that nothing was pre-frozen. The famous Salmon Oshi Sushi ($9). 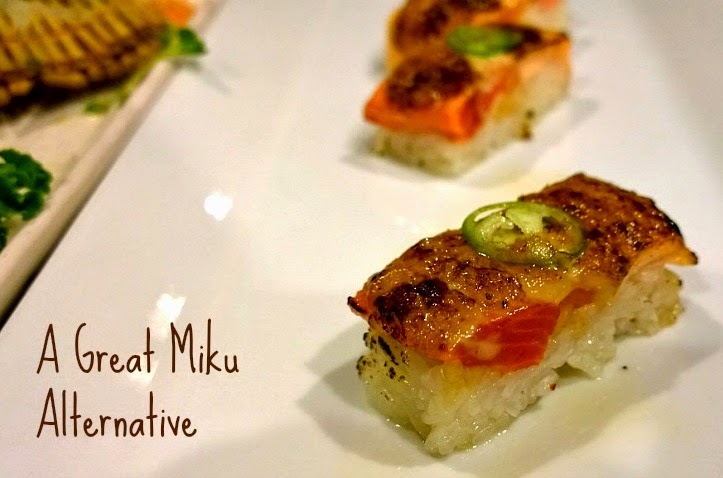 Unlike the Miku ones, it doesn’t have a layer of salmon layered in between the rice. It was a solid salmon oshi dish though certainly missing the intense smokey flavour that usually penetrates right through even the rice. 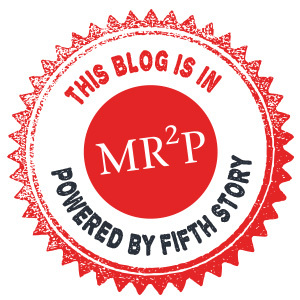 All in all, a very solid Miku alternative!! 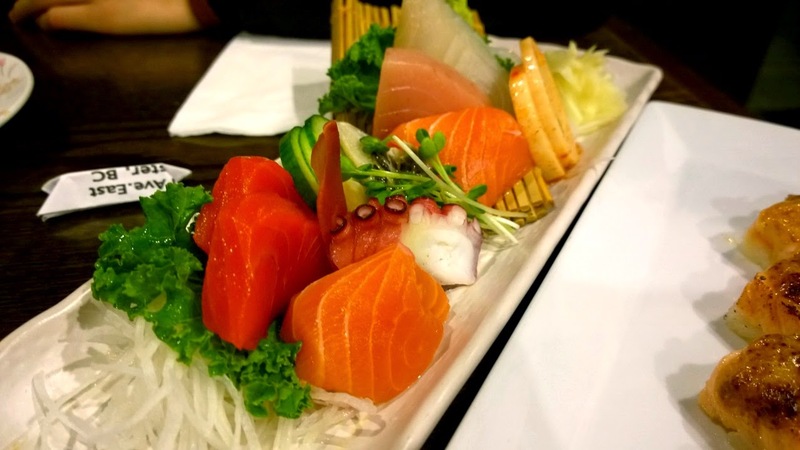 This location is easier to get to than downtown Vancouver and their salmon aburi sushi is almost half the price of the ones at Miku. 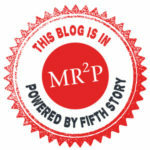 Who can complain with that? 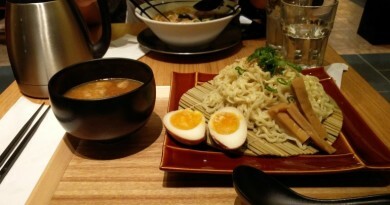 Sanpoutei Ramen – Is It Worth The Hype?